Upset? Angry? Emotional? We all get that way. It is a natural part of life and sometimes a natural part of the day. Life and events are out of our control and so we all are thrown hurdles to get through; many times unexpectedly. Dealing with the emotions of what comes along can be complicated. But what you want to avoid is getting behind the wheel when you are emotional, angry or upset. Many times people let their emotions get the best of them. When you are driving, you have to be able to give it your full attention. The attitude you have is your state of mind at any given moment, whether that be happy or sad, excited or full of anxiety. Your state of mind controls how you behave and react to situations. The actions and reactions are a normal part of everyday living and interaction with others. When you are emotional behind the wheel, it can interfere with your ability to think clearly and inadvertently create a mental distraction. For instance, if you are worried or upset or thinking through a complicated issue while driving, you may not notice your upcoming exit or turn, causing you to miss it or react suddenly. You become an inattentive driver. You may fail to scan the environment ahead or notice debris in the roadway. When you are angry or upset, you may increase your risk taking and pull out in front of another vehicle, cut someone off, or tailgate. Positive emotions are dangerous too. Even when you’ve received the best of news there can be a lack of concentration when you get behind the wheel leading to increased reaction times. You can lose your ability to notice what other drivers are doing, anticipate their next moves and determine how you will respond. Driving when emotions are high can interrupt your ability to process information in the driving environment and incite you to act out your emotions. You can lose your ability to perform skills that require precise timing to complete. Physically, your body can react in many ways including increases in heart beat and respiration rates and spikes adrenaline levels. Teens’ brains are still developing and are very vulnerable to their emotions and the emotions of others. They usually have less means and independence than they would like, which can increase their frustrations and intensify their emotions. Set a good example and choose not to drive when upset. Recognize the role emotions play when driving. Look at examples of other drivers on the roadway who maybe mental distracted and discuss the danger they pose together. Examine your and your teenager’s emotional make up and discuss coping strategies. Identify and predict situations that could cause both positive and negative emotions. Ask for a commitment from your teen to delay driving when they are emotional or upset. 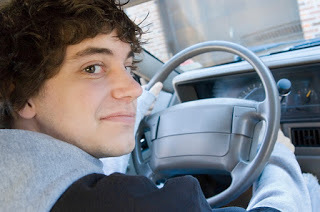 Get a verbal agreement and include it in your Parent & Teen Driving Contract. If you are excited or upset, ask someone else to drive you. Give yourself a few minutes and quiet your mind. Close your eyes and take a several deep breaths. Remember that you can’t control what happens to you, you can only control how you respond to it and many times that determines your ultimate success. Separate the actions, reactions and emotions from the people and the situations: John’s immature vs. John’s acting immature. If you can, take a short walk or do some quick exercises to settle your body down. Leave a few minutes early to give yourself extra time to get to your destination, so you won’t be hurried. If you become upset while you are driving, pull over to a safe place. Take a few minutes, walk around, and breathe deeply. Avoid the risk and avoid the consequences…Drive with a safe attitude. Learn more about the Facts Behind Teen Crashes.